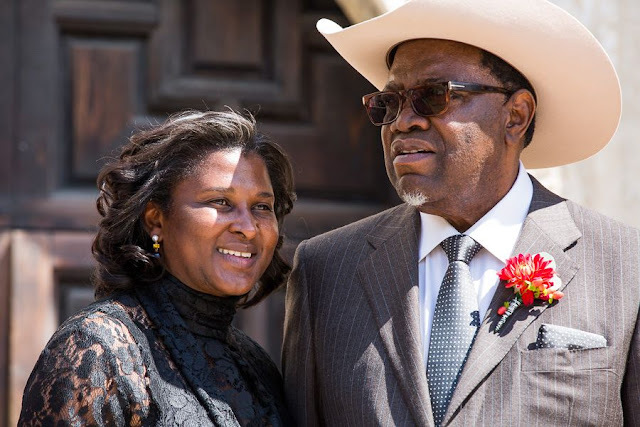 Is Namibian President A Globetrotter? President Hage Geingob this year traveled to 16 countries and spent 64 days abroad. As according to Namibian Investigative Unit's Article: President Hage Geingob this year visited to 16 countries, spent 64 days abroad and qualified for an estimated N$850 000 in travel allowances. This is despite a ban the Presidency placed on international trips by public officials on 1 February this year as part of cutting down costs. The ban, however, was a short-lived public stunt as business continued as usual because soon after, Geingob flew out to China. The Presidency refused to answer questions about the cost and possible allowances for the head of state's international trips. They have also been secretive and evasive on the cost and motivation for the extensive travelling undertaken so far despite concerns that some government officials are using the presidential trips as a cash cow. In three years, Geingob travelled to 47 countries – 19 in 2015, 12 in 2016 and 16 countries in 2018. State House statements reviewed by The Namibian show that in 2018 Geingob visited China, Ethiopia, Nigeria, Mauritania, Canada, the United States of America, Indonesia, Guinea, Ghana, Kenya, Switzerland, Angola, Malawi, South Africa, the United Kingdom and Botswana. The president kicked off his foreign trips this year with a visit to Ethiopia from 26 to 29 January for the African Union meeting held under the theme 'Winning the fight against corruption'. Geingob and his delegation used commercial flights to Ethiopia to save costs. Calculations, however, show that for his three-day stay in Ethiopia he qualified for N$48 130 in travel allowances. The Namibian calculated some of the costs whose formulae and other essential guides were obtained from the government documents. A month after announcing the travel ban, the president flew to Beijing, China on 27 March and returned home on 3 April 2018. The week-long state visit to Beijing was for, among others, to ask the Asian superpower for loans to fund Namibian projects such as the Hosea Kutako International Airport upgrade. Geingob qualified for N$88 323 in allowances for the week he spent in China. Geingob then attended the burial of the late ANC liberation stalwart Winnie Madikizela-Mandela on 14 April 2018 in Johannesburg, South Africa. He was on the move again three days later when he visited the United Kingdom from 17 to 20 April 2018 for the Commonwealth summit in London to discuss issues such as terrorism and organised crime. Geingob attended a two-day Southern African Development Community leadership summit in Luanda, Angola, from 23 April to 24 April. The president did not travel out of the country in May, but he was off again on 29 June to the Southern African Customs Union summit in Botswana. Geingob then travelled to the Mauritanian capital of Nouakchott on 30 June where he attended the African Union summit from 1 to 2 July 2018. From Mauritania, Geingob travelled to Abuja, Nigeria, on 3 July 2018 where he visited Nigerian president Muhammadu Buhari. From there, he attended the funeral of former executive secretary for the United Nations' economic commission for Africa Adebayo Adedeji. The president returned to Namibia on 7 July 2018, a day after Adedeji's burial. He went to Johannesburg for the Brics summit from 26 to 27 July. The government announced in September this year that Cabinet directed the works ministry to look at borrowing from the Brics New Development Bank to finance regional infrastructure projects. Geingob was again on the move the following month, visiting Asia for a week. He flew to Indonesia on 27 August 2018 for the Indonesia-Namibia Business Forum held in Jakarta until 1 September. From there, Geingob went to China again. This time to participate in the Forum on China-Africa Cooperation from 3 to 4 September. He qualified for N$138 000 in allowances for his two trips to China this year. The president returned to Namibia on 5 September, but he was in the air again a week later, travelling to Accra, Ghana, on 12 September to attend the funeral of the late United Nations secretary general, Kofi Annan, who died on 18 August and was buried on 13 September. He returned to Windhoek the same day. The president went on another trip five days later. This time he was abroad for 12 days. His first stop was at the West African country Guinea on 18 September 2018 for a three-day visit at the invitation of that country's president, Alpha Conde. State House said in a media statement that the visit focused on strengthening relations in trade and investment between the two countries. The president and his delegation then travelled to Ottawa, Canada, on 21 September where he held talks with the country's prime minister, Justin Trudeau. From there, Geingob travelled to New York in the United States for the annual United Nations General Assembly summit from 22 September to 28 September, qualifying for N$101 678 in travel allowances. He returned to Namibia on 29 September. Geingob was on the plane two weeks later, visiting Nairobi, Kenya, on 17 October for a four-day trip “to strengthen cooperation between the two countries in trade, investment and business exchanges”. He was also a special guest at that country's national heroes' day celebrations. He wrapped up his Kenyan trip on 21 October 2018 and proceeded to Geneva, Switzerland for the United Nations investment conference from 22 to 25 October. Geingob qualified for N$36 700 (Kenya) and N$67 800 (Switzerland) in allowances from that trip. He travelled again a week after his Switzerland visit. He participated in the first extraordinary summit of the African Union committee of 10 heads of state held in Lilongwe, Malawi, on 3 November. The summit was aimed at championing for education, science and technology in Africa. 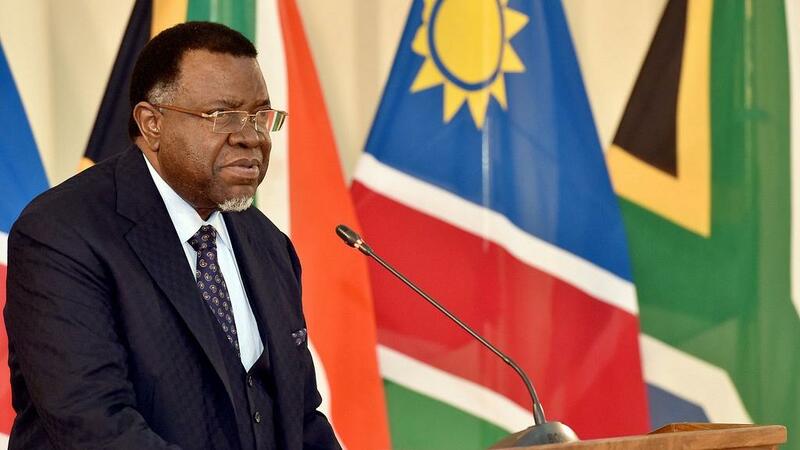 Two weeks later, Geingob travelled to Ethiopia – his second trip to the east-African country this year – from 17-18 November 2018. The trip was for the African Union extraordinary summit in Addis Ababa, Ethiopia. 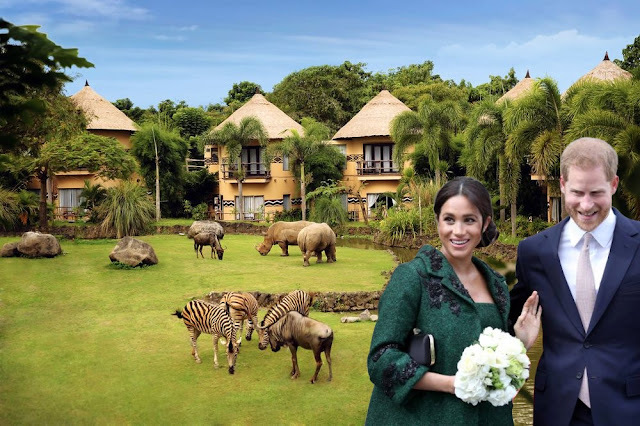 There have been several calls from the public to reduce what is viewed as too generous travelling allowances, especially to senior officials such as the president, whose entire cost of living is paid for by the taxpayer. The president earns around N$1,7 million untaxed per year. Popular Democratic Movement (PDM) parliamentarian Vipua Muharukua said the money paid on allowances for Geingob could have been used to build toilets for the elderly and disabled. “This is a lot of money to use just for travelling,” Muharukua stressed. He said parliament reduced its travels. “I am not saying the president must not travel, of course, he has to attend SADC and the AU general assembly, but his travelling must be limited. 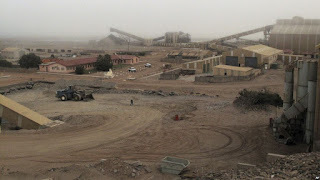 What are the direct results on Namibian's livelihood when the president travels?” he asked. Presidential spokesperson Alfredo Hengari declined to comment on questions sent to Geingob. The president qualified for around N$700 000 in travel allowances in 2016. He qualified for N$2,4 million in 2015 but has downplayed concerns that the trips were enriching him. Speaking at a press conference in 2015, to outline his achievements since assuming power in March of that year, Geingob said he does not travel for subsistence and travel allowances. He did not say whether he would claim his travel allowances or not, but instead said he “helps other people”. “I don't live on per diems. I even help others when we are travelling. I pay for them. I feed them. So I don't go there (abroad) to get per diems,” he said. 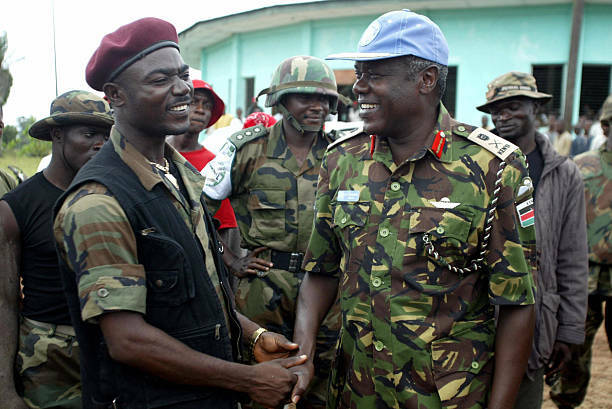 Lt General (rtd) Daniel Opande, the first commander of UN's Mission (UNAMSIL) in Liberia. Retired Kenyan General Opande set to receive the second highest award from Namibia. The plans to decorate a retired Kenyan general for peacekeeping service rendered to the once war-hit country it is a special recognition to the successful peace-keeping mission in Liberia. In October, General (rtd) Daniel Opande’s name was featured when Namibian President Hage Geinob met President Uhuru Kenyatta. According to President Hage Geinob, his country is preparing to award the retired general with the second highest honour as part of appreciation for the sacrifice and contribution he made, along with other Kenyan soldiers, towards Namibia’s liberation struggle. Kenya contributed outstanding soldiers to help in safeguarding stability. We invite Opande to come to Namibia to receive the award on behalf of all Kenyans. The announcement came as a surprise to the Kenyan retired general who reminisced the times he spent in Namibia and the role that he played as the Deputy Force Commander while under the United Nationals Transition Assistance Group. “When the president mentioned my name, I felt honoured and humbled. While in Namibia, I did my job as a soldier and I did not expect to be rewarded later,” said Opande when The Standard team met him at his home in Eldoret, Uasin Gishu County. Where he was born, it did not cross his mind that he will one day be a celebrated man across the world. Initially, he wanted to become an engineer. His family detested the disciplined the military due to the disappearance of one of his uncles who once served in the Second World War. When he completed his secondary school education, his father fell ill and the only way was to look for a quick job to fed for the family it was only the Army. Months before Kenya gained its independence in 1963, he enlisted as a military cadet together with other officers, they celebrated the country’s independence while undergoing training in United Kingdom. He later rose through the ranks to become a general. According to the general, his squad was the second African team to be sent for peace keeping mission after the initial one in 1960s. “The country fought gallantly for independence and lost many people. We were sent there to find a better way of ending the war in 1989 to 1990,” he said. Opande noted that his team faced numerous challenges but did its best to mediate between the two warring groups. “A section of troops from South African Defense Forces (SADF) at one point had agreed to implement the peace process but there were others who were opposed to the plans. There is one point when they attacked our Kenyan base in the area and our officers were forced to fire shots at the guards who later retreated in the darkness,” he said. An untold story of Daniel Opande,the former senior military officer of Kenya Defence Forces. The UN’s hard stance on the need for South African force to halt its operations made the troops to give in in 1988. A peace deal was reached when they agreed to give up the fight and control of Namibia. On 21 March, 1990, Namibia got its independence leading to the election of Sam Nujoma as a first President. People asked him whether his military training was the reason for his success, Opande said his leadership and joint partnership with his colleagues is the one that bore fruits. The retired general is currently working on his autobiography which documents every experience he had as military officer. In 31 December, 2007, upon returning to the country, he came face to face with the grim reality of post-election violence which mirrored the situation that was going on in most countries he was serving under UN in peace missions. “When I woke up, I found a huge group of families camping outside my compound. Their homes had been torched and had sought refuge. My heart sunk because it was the same mission I was doing in Africa that had also taken place in our own country. I assisted them get food and shelter,” he noted. It is from such incident that they formed Concerned Citizens for Peace Group meant to encourage for dialogue on pertinent issues. The 75-year-old man boasts of numerous souvenirs and military awards given by various countries while serving in the United Nations. “I was celebrated at the hall of fame at the National Defense University (NDU) in United States, awarded presidential medal by Liberia and prestigious awards by the Kenyan government,” he summed up. 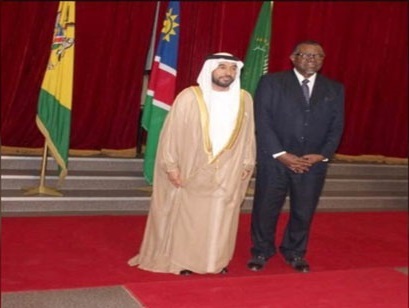 Mahash Saeed Al Hamili, UAE Ambassador to the Republic of South Africa, has presented his credentials to President of Namibia, Hage Gottfried Geingob, as a Non-Resident Ambassador to the southern Africa country, during a reception at the Presidential Palace in the capital Windhoek. President Geingob wished the new diplomat all success in his mission while emphasising his readiness to provide every possible assistance and cooperation for his efforts to develop bilateral ties into close cooperation. Following the ceremony, the president held a meeting with the ambassador where he tackled issues of mutual concern. A number of ministers and senior officials attended the meeting. President Geingob praised the advanced level of progress the United Arab Emirates for reached in areas of education, construction and infrastructure that makes UAE become a role model for other countries. He said, '' our country is looking forward to viable relations so as to benefit from the UAE's experience in building its capacities''. Namibia would work to conclude agreements and memoranda of understanding to boost bilateral ties, he said. He added that he would personally follow up implementation of these cooperation agreements. Ambassador Al Hamili expressed the UAE's desire to expand the friendship ties into constructive cooperation that served the interests of peoples in both countries. The ambassador affirmed the interest of the UAE leadership to further develop ties with Namibia and launch initiatives towards "our friends in Africa" so as to support economic growth and rural development and improve social and economic conditions in areas of health, education, youth empowerment and agricultural development. Other areas include building capacities of security agencies to counter terrorism, extremism and organised crimes and create an encouraging environment for trade and investment. 'The next few months will see many initiatives by government and non-governmental organisations to strengthen bilateral ties,' he added. President Hage Geinkob Is Targeted By Hoaxes. President Hage Geinkob is in the web of fake news that alleging him "dead from food poisoning. The fake news once again has circulated by anti-Harambee's government and their collaborators. The main aim is to perpetrating some obfuscation that could further perhaps induce weakness surrounding President Hage Geingob's life and the security/safety of his family. According to the source Glonews360.com where these fake news fabricated and generated yesterday 21 March 2018, just soon after the celebration of 28th Namibia's Anniversary in Tsumeb, where the President was addressing the nations. The diabolical news purported that Namibian President is dead at the age of 75 from food poisoning. The elements behind this death hoax, they could be the same outfits that populated unfounded story about the First Lady Monica Geingos that she died last year and now again created another political conspiracy against her husband. What these people really trying to achieve, by doing this kind of satanism? The delusional people who producing these rumors are in Namibia, deploying fake accounts sometimes to appear as legitimate sources on the websites from countries like US and Canada, where they orchestrate unfounded stories so-called "Break News" of which they re-bounding them back to Namibia through social media like Whatsapp groups, Facebook and Twitter handles example here Anouschka (@Anouschka34) who first twitted the fake news about President's death on Twitter at about 9:45 PM on 21 March 2018. The website of fake news published that "The President of the Republic of Namibia, Hage Geingob who acted as the head of state and the head of government of Namibia, as well as the commander-in-chief of the Namibia Defence Force, according to the Constitution of Namibia is reported dead last night. It appeared that late President Hage Geingob was said to have died after complaining of stomach pain, a situation medical experts describe as food poisoning. According to Dr Richard Morocky, President Hage Geingob now late was rushed to the Roman Catholic Hospital, in Windhoek in a very critical condition. “Team of doctors including myself worked tirelessly to control the situation but all frantic efforts put up proved futile." -Dr Morocky said. The fact remains that there is no truth to the above evil-wishing story. The first time when we saw the article on the internet yesterday, some people have almost fainted when reading the headline, but I have detected that this was a mere demonizing ploy to cast bad wish over President Hage. For one thing, there is no legitimate news coverage about Geinkob has died. Additionally, the story is filled with bad spelling and grammar mistakes. Lastly, the President Geingob also sent out a tweet on the same time when the sad news was firstly announced; he stated that: "After the good rains at his farm Hadaloha, and working the final details of my Independence Day speech, I spent the last half of the afternoon inspecting my harvest. Food security is a crucial aspect of eradicating poverty. Agriculture has the potential to transform our". In the previous conjuration made by the same network of hoaxes (USA News), where they reported that Monica Geingos was rushed to hospital after she suffered undisclosed sickness and she passed on three hours later while she was being hospitalised. Many people in Namibia were almost believed to such shocking news. The internet and chat group was full of people expressing the message of condolence, of which later the so-called confirmed report from state house appeared to be fake. 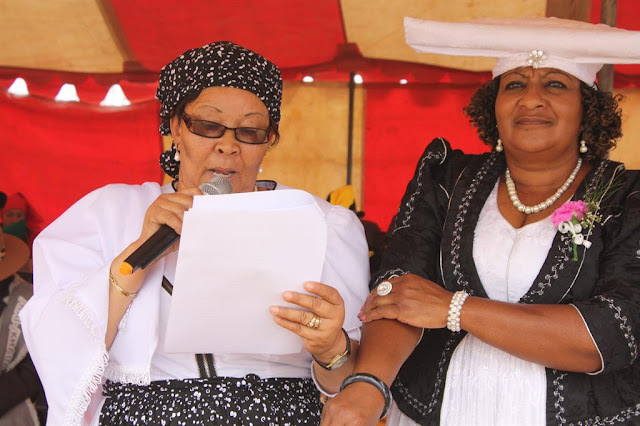 Herero and Nama Group demanding reparation for the Genocide from Germany. Namibian-German negotiations about the genocide perpetrated in the former German colony South West Africa in 1904-1908 have just entered their third year. The start of the negotiations in late 2015 marked a turning point after more than a century of German denialism. But now tangible progress seems elusive, and a crisis may be imminent, delaying justice for the Ovaherero and Nama descendants of the main victim groups. Thousands of Ovaherero and Nama communities were confined to concentration camps, died of hunger and malnutrition, harsh weather conditions and the consequences of forced hard labour. There’s always been unity in Namibia about the broad demands towards Germany – recognition of the genocide, an apology, and reparations. This has been true even though there’s been considerable controversy about the issue of representation at the negotiations, with the feud between groups representing the victims and the Namibian government turning bitter at times. Each of the three issues is throwing up fresh challenges in the negotiations. Hopes that were placed in the shift of German official language in mid-2015 have evaporated. According to the latest indicators, Namibian negotiators are quite doubtful about an outcome of the government negotiations. The question of genocide In January 1904 Ovaherero communities in the central parts of the territory resisted the settler-colonial invasion by attacking German farmers. Imperial Germany reacted with military actions seeking to destroy the “savages”. The genocidal warfare and its aftermath condemned tens of thousands of Ovaherero to death by thirst and hunger in the Omaheke steppe. Witnessing the brutal force unfolding, Nama communities in the south took up arms too and entered a drawn-out guerrilla warfare. Thousands of Ovaherero and Nama, was confined to concentration camps and died of hunger and malnutrition, harsh weather conditions and the consequences of forced hard labour. According to estimates half to two-thirds of the Ovaherero and a third of the Nama did not survive what they call the Namibian War. Provisions under the so-called Native Ordinances included the sweeping expropriation of African land and the confinement to Native Reserves which known as homelands. The colonial masters prohibited them from owning their livestock. And disbanded nomadic cattle-breeders from using their territories for pasturing. This was tantamount of denying their cultural identity and force them into labors. Groups of Nama were even deported to the German colonies in West Africa. Exposed to forced labour under harsh climatic conditions they weren’t used to, only a few survivors were repatriated towards the end of German colonial rule. All these events fall under the defined act of genocide in terms of the UN Convention for the Prevention and Punishment of the Crime of Genocide. The facts are hardly in question – words are. In mid-2015 the German Foreign Office after decades of denial seemingly acceded, in a very informal way, to labeling what had happened as genocide. The two governments subsequently appointed special envoys to resume negotiations. But from mid-2017 matters began to deteriorate. Beginning with the German Ambassador in Namibia, German officialdom retracted from using the term genocide. Instead, references were made to “atrocities”. Two other central issues that have emerged is the apology to be tendered by Germany, and the question of reparations. In transitional justice, a “deep apology”, rendered by the sovereign of the offending state, is considered a central prerequisite of reconciliation. But German diplomacy seeks to avoid the risk inherent in an apology for mass, including state, crimes. Any apology is offered with the possibility that it can be declined. And German diplomacy seems to be bent on further goals. The government negotiations are meant to be confidential. But some points have transpired. The German side has consistently underlined that – from their point of view – reparations are out of the question. But it indicated the willingness to consider substantial payments to improve the position of the victim groups in particular. In this way, any legal obligation was denied. This shifted the meaning of material redress. It replaced a right for compensation of the damages with a German government grant. To Namibian ears at least, this hardly conveyed the genuine remorse that would have to constitute the grounds of a serious apology. German diplomacy appears to be driven by legal considerations more than by anything else. Conceivably, such legal concerns have been enhanced by the legal steps taken by victim groups who have filed a class action complaint with a US District Court in New York. The German side considers such action not valid on account of state immunity and refused to accept the claim. This argues that states cannot be sued for criminal offenses in other states. However, this principle does not apply in cases of genocide. This might explain why the German Foreign Office has backpedaled on its terminology. Moreover, should an agreement be reached, it is unlikely that it will enjoy the consent and acceptance by the victim groups. But this would be indispensable to gain any legitimacy. Otherwise, any arrangement will not contribute to reconciliation and closure. Against this sobering perspective, one will have to look at the perseverance of the victim groups in Namibia. They have demanded recognition, apology, and reparation from Germany for the better part of two decades. Their campaign has developed strong and trustful links with German counterparts. These are the Left Party, sections of the Greens and Social Democrats, and particularly groups of civil society actors, including Afro-German and postcolonial initiatives. Many thought their aim near at hand. In the meantime, colonial-apologetic roll back – combined with white supremacy and racism – has entered the public sphere and German politics with new force. It will take much stamina in the months if not years to come yet to change the tide by those seeking redress for historical injustices.